Hey Mama! 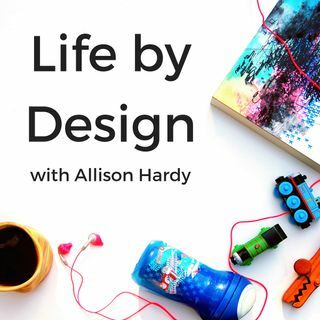 And welcome to episode #109 of the Life by Design Podcast with Allison Hardy. Today’s episode is going to be a bit different from what I normally share with you. Today I’m getting VULNERABLE. And when I first started recording this episode I was ridiculously nervous. In fact, I almost scrapped the entire thing. But when I started my business I made a promise to myself, and to my audience, to be truthful and upfront about everything: the good, the bad, the ugly, and everything ... See More in-between. So here goes…. But, it was through these lessons that I learned a TON and they’ve really shaped my 2019. And my 2019 so far has been pretty phenomenal. So these lessons have been ridiculously helpful in shaping my year so far, they were just hard lessons to have. It is my hope that by sharing these lessons with you you’ll either realize the trials and tribulations you might be experiencing are normal OR that when these things may happen to you, you know not to shut it all down and call it quits. Hard lessons are normal, it doesn’t mean that we have to like them.